We all are well aware about the recent issue where Toyota cars malfunctioned causing sudden acceleration following accusations that the car and its sub-systems including the computer in the car, malfunctioned. Following the outrage and after multiple tests the government investigators have found no flaw at looks like Toyota was right! The preliminary conclusion was reached by the government investigators last week. When the issue came to light Toyota immediately recalled nearly 9 million vehicles and its executives were called before the Congressional committee to explain in detail why this was happening. Interestingly the acceleration problem was found to be caused only in a few vehicles and was not reported in the entire stock. The blame went initially to the floor mats and “sticky gas pedals”. Critics were quick to point out to a failed electronic control ssytem – the computer that controlled almost all the functions of the car. 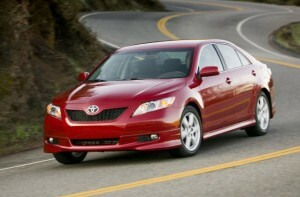 Toyota defended this claim saying its electronic system was fool-proof and was not prone to errors. Government investigators tested and re-tested but were unable to find any computer glitches that could result in the reported problems. NASA and the National Academy of Sciences were also called in for help and the early findings report seem to conclude that Toyota was right. New York Times reported that the preliminary findings support what Toyota had claimed all the while – that the sudden acceleration might have been human error where drivers pressed the gas pedal instead of brake. Toyota said that it has tested on more than 4,000 on-site vehicles and has not found even a single case of electronic throttle control failure. However the Government’s National Highway Traffic Safety Administration reported that out of the 35 accidents studied, it was found that the brakes were never applied indicating a possible driver error. Further tests are being carried out but data recorders in the cars’ computer showed no pressure applied to the brakes of these vehicles. Regardless critics remained skeptical. Safety consultant Sean Kane said the event data recorders in the testing vehicles were based on the same technology as the car systems were. “These are not aircraft black boxes, and they rely on the same electronic systems that are suspect to begin with. The public wants to believe that event data recorders (E.D.R) are independent witnesses,” he said. Further tests are being carried out still but these preliminary findings make it clear that Toyota was right all the while. You can read more here. Indian Government now Issues Notice to Google! U.S. Government Wants to Read Your Emails, Facebook!